Forty preschoolers and 10 staff members were in Mt. Zion Baptist Church in Paducah, Kentucky, when a tornado struck, tearing off the church’s roof and damaging nearly every room in the building. The staff guided the children to an inner, concrete room and helped them to stay calm by having them sing “Jesus Loves Me” and “He’s Got the Whole World in His Hands.” Remarkably, no one was hurt. “The almighty hand of God has provided safety to our community,” said Sheriff Matt Carter to the West Kentucky Star. “This could have been an extremely high fatality rate, and we’re very fortunate and blessed.” While the storm did some significant damage to the area, only one minor injury was reported. The roof is missing, debris is strewn everywhere, and the church’s sign is aslant. The room the children were in was the only one in the building that was not damaged during the storm. 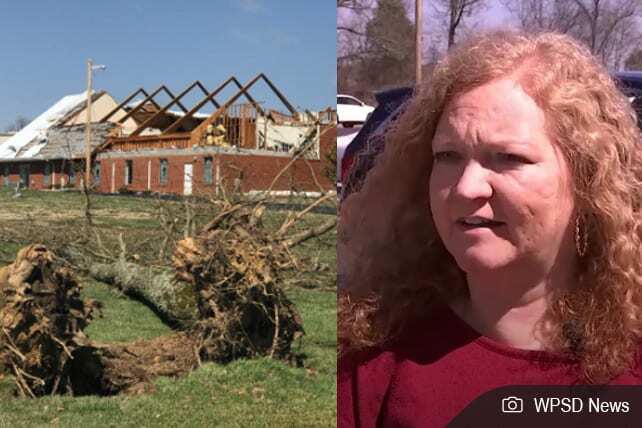 “Even if no one was hurt, but the roof had been ripped off while those kids were in there, it would have traumatized them,” Senior Pastor Wes Connor told Fox 17.